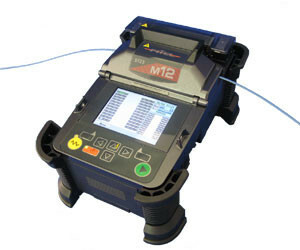 The Fitel S123M12 Ribbon Fusion Splicer is a compact, handheld device available for all METRO/ FTTX/ LAN fibres, backbone or long-haul installations. It is available to rent from TechRentals. Its lightweight, durable metal body frame and rubber-protected corners enable usage in challenging locations, all while maintaining splicer performance. 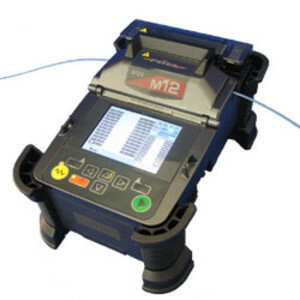 Single- to 12-ribbon fibre splicing can be achieved with this machine and it also offers a splice-on-connector (SOC) solution. Up to 160 cycles of splicing and heating can be performed using the large capacity dual-battery configuration, making field use faster and more consistently accessible. Its fixed V-groove allows simple operation while also being compatible with Seikoh Giken and Diamond SOCs. The tool-less electrode replacement/mirror-free alignment system allows for easy maintenance and software upgrades via the internet. I am interested in Fitel S123M12 Ribbon Fusion Splicer .